Click the map to see where in the U.S. you can buy a Tesla. 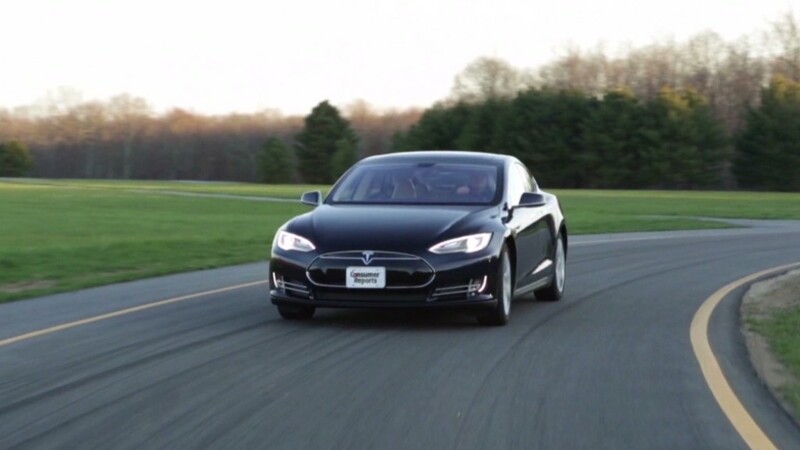 Tesla Motors will have at least 15 more days to sell its electric cars in New Jersey. And legislation is in the works that may let the automaker sell directly to consumers for much longer. Tesla has been selling cars at its two company-owned stores in the state for 18 months. But the state's Motor Vehicle Commission voted on March 11 to enforce an existing law that bans direct auto sales. Every other automaker sells only through independently-owned dealerships. Dealership associations across the country have been fighting to block Tesla's direct sales. They argue that dealers offer car buyers competitive pricing and consumer protections. Tesla (TSLA) says it needs to sell its cars directly through company-owned stores because dealers wouldn't do a good enough job explaining the advantages of electric vehicles. The ban on Tesla sales was due to take effect April 1, but this week the state extended that deadline to April 15, according to Jim Appleton, president of the New Jersey dealer's trade group. Appleton said dealers would support an even longer extension to keep Teslas on sale while the state legislature works on a compromise. But Appleton cautioned that dealers would not support Tesla being able to sell directly to consumers forever. "There needs to be a pathway for them to come into compliance with franchise laws," he said. Tesla declined comment on the delay in the New Jersey ban or the legislation being considered there. There are two pieces of legislation in the works that would keep Tesla's New Jersey stores selling cars. In the state senate, Democratic Sen. Raymond Lesniak, has a proposal that would allow direct sales of so-called "zero emission vehicles," including Teslas, until they make up about 4% of the total car market. That isn't likely to happen until 2018, according to forecasts. Sales of Teslas and plug-in models from other automakers including General Motors (GM) and Ford Motor (F), made up only 0.6% of U.S. car sales last year, according to the Electric Drive Transportation Association. "I think we need to give electric cars the ability to get a foothold in the market," said Lesniak, who has generally been allied with the state's dealers. "I think that's a fair compromise." Even Tesla's company filings state that its lack of a dealer network is one constraint preventing it from selling a lot more cars. Company forecasts show sales of 35,000 cars this year rising to 500,000 by 2020. Another bill introduced by Assemblyman Timothy Eustace, a member of the Democratic leadership, would permanently exempt electric car makers from dealership laws. "It seems to me that people on both sides of this argument think a compromise is a good thing to do," he said. Lesniak said he believes Gov. Chris Christie would be open to legislation that would allow Tesla sales to continue. Christie defended the Tesla ban when his appointees approved it, saying it only enforces current law. "He's on the record saying to leave it up to the legislature," said Lesniak. Christie's office did not respond to a request for comment.